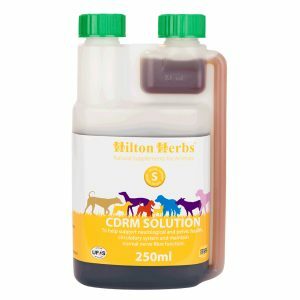 Hilton Herbs Canine Detox Support – As dogs age, and their physiological systems become less effective, they may struggle to cope with the physical, environmental and dietary demands made on their bodies.Wormers, convenience foods, environmental toxins and advancing age can all place additional pressures on your dogs general health. Hilton Herbs Canine Detox Support contains herbs that have been specifically selected to help your dogs physiological systems respond to these demands. Milk Thistle seed to maintain healthy and effective liver function. Cleaver to support a healthy lymphatic system. Golden Rod to maintain efficient kidney function. Liquorice and Dandelion root to support an effective digestion. Nettle and Burdock to help maintain the bodies circulatory and excretory systems. 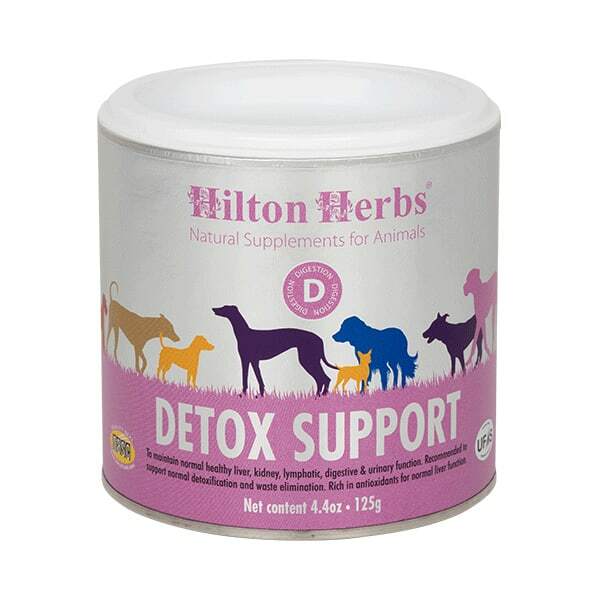 Hilton Herbs Canine Detox Support Contains: Milk Thistle seed, Cleaver herb, Golden Rod herb, Liquorice root, Dandelion root, Nettle herb, Burdock root.